M78 is a diffuse reflection nebula that is illuminated by young, giant stars embedded within it. 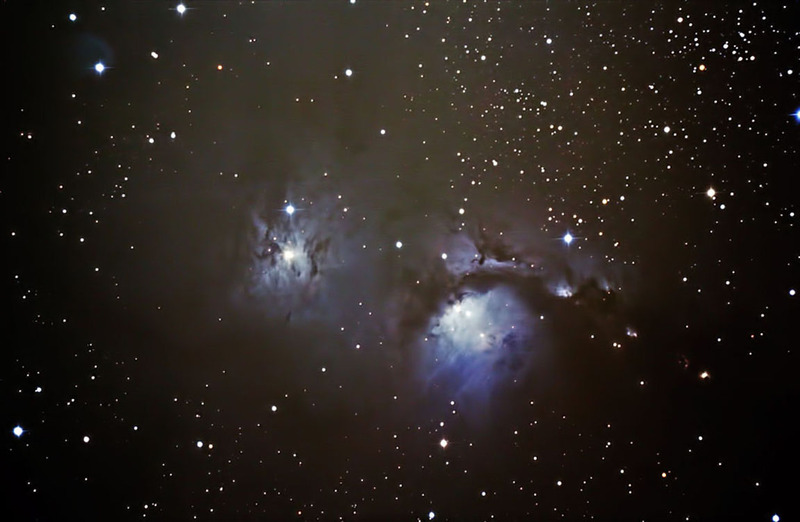 It is part It lays approximately 1600 light years away and is part of the Orion Molecular Cloud Complex. Mount: Losmandy G11 w/Gemini; guided with Orion SSAG on 50 mm. Lumicon finder scope. Images were focused using Live View and converted Canon Digital Photo Professional. Subframes were aligned and combined using ImagesPlus. The final image was adjusted in Photoshop CS2. Noise was reduced using Topaz. Taken on 12/25/11 at my backyard observatory in southeastern Minnesota. Temp 15 F Humidity 70%.